When will we get Dinorah Lacostt npc for our clothing dyes? The tickets are on the cash shop but theres no npc to turn them in. BTW, Gym passes are good to use. What are sold on the cash shop? This is not clasic 2003 ro its more like 2007 or 2008 the origenel unboded map like payon is not in RE:START the old stat system pre Comodo id not in RE:START this is just a clasic sever with a new name. It is not anywhere like 2003 the date is off by alot baced on what the game mechanics where like in 2003 you could solo kill a boss at lvl 60. monsters stats where diffrent. the pay to win did not come to ro intell far after 2003. And the P2W has started in pRo ROPH. Which you'll have a change to get more trash except the rare ones. Should have known these "consumables and constumes and no OP only sell items obtainable in-game" won't last long. Hope WP doesn't follow their path. Edited by zilahmonsan, 28 June 2017 - 03:02 PM. We all know the current servers are P2W but they specifically mentioned this in their FAQ. Q: Will the service be offered as free-to-play or pay-to-play? Servers are offered as free-to-play or as we like to call it, Free to Win(F2W), wherein all key-items could be obtained in game. Already ran out of funds. 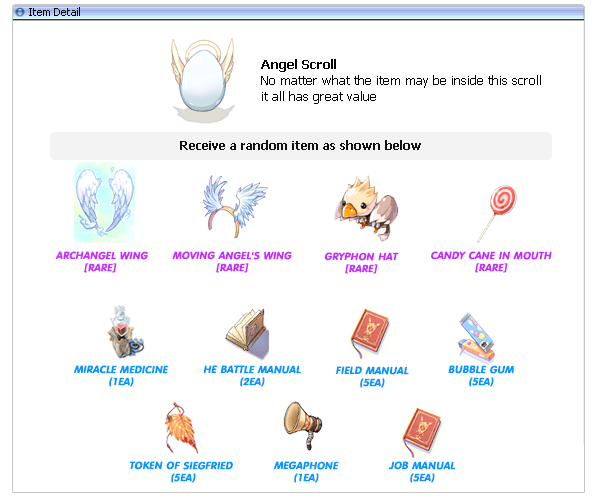 I wonder which monster drops Archangel wing, flapping angel wing, Gryphon hat, and the candy thing. Edited by zilahmonsan, 28 June 2017 - 03:23 PM. All of the servers have ways of earning cash shop points in the game, that's what it means. Of course people spending money will have a higher chance, even then, none of those items are crazy. Yeah, for now. 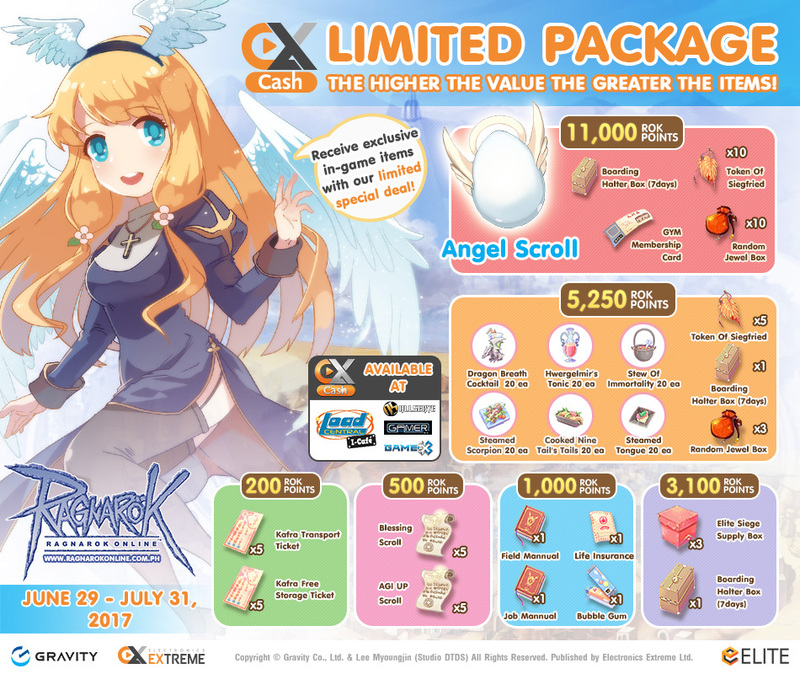 But since they are selling items obtainable in-game, I didn't know archangel wing and flapping angel wing are obtainable in-game.